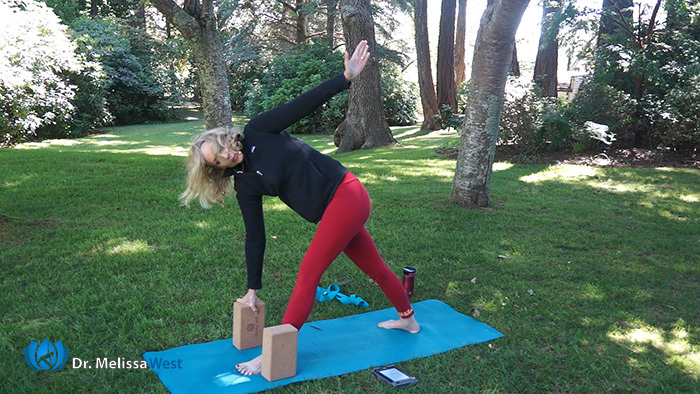 Today you are focusing on allowing things to come to you with the help of your yoga blocks. Props allow you to receive support in your yoga practice regardless of your age, physical ability, or even how long you have been studying yoga. 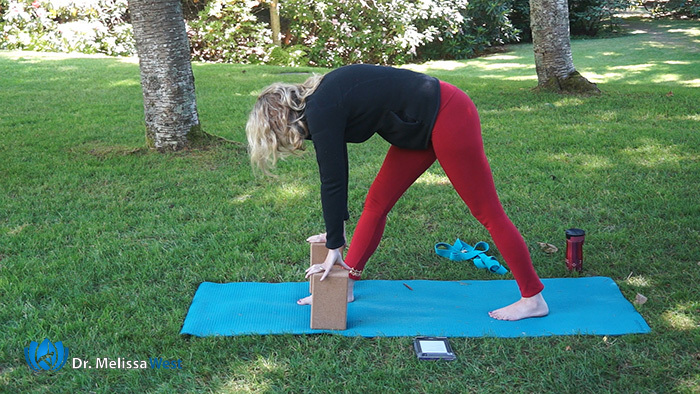 Often times, people are resistant to using props such as blocks in their yoga practice. It may be that they feel like they are not getting the full benefit of their practice if they use a prop. If this is the case for you, explore the life connection for yourself. Are you unwilling to receive support in other areas of your life as well? Is it just as challenging for you to receive support on and off your yoga mat? 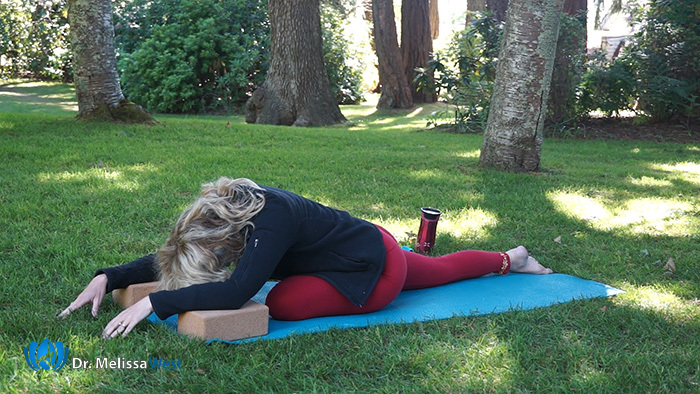 I have found yoga props, such as yoga blocks to be an incredible tool to explore my creative expression as yoga teacher and a yoga student. Today you will explore the yoga block as a way to allow things to come to you as well as to explore a deeper level of awareness in your yoga postures. Blocks bring the floor up to you. As my teacher Tama Soble always used to say, “There is nothing wrong with you, there is something wrong with the floor.” Instead of reaching, allow things to come to you with your yoga blocks. Can you see if there is a life connection here for you? Where you can allow things to come to you instead of efforting so much? Blocks heighten and bring the poses to you. When you reduce the reach on your yoga mat, you cut down on upper back, neck and shoulder strain. What would happen in your life if you cut down on the reach and allowed things to come to you? Blocks are amazing at providing support in a couple of different ways. When your body needs a little bit of a wake up – they can provide that. They can help to wake up dull areas of your body. They will help you to access your core stability by helping you to engage your inner thigh muscles and pelvic floor. 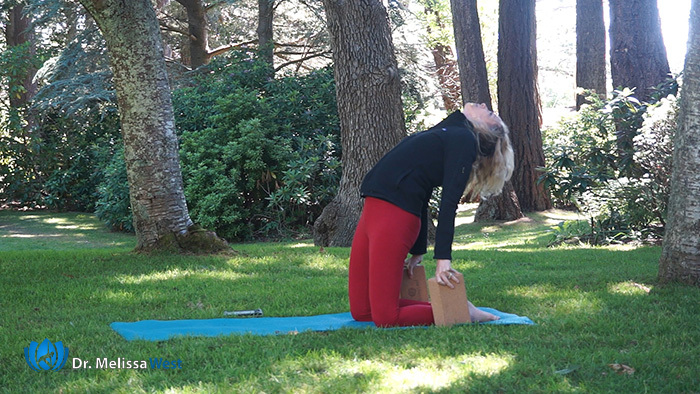 When your body needs help letting go, the blocks are also helpful for that. Yoga blocks will provide unique leverage in forward folds. 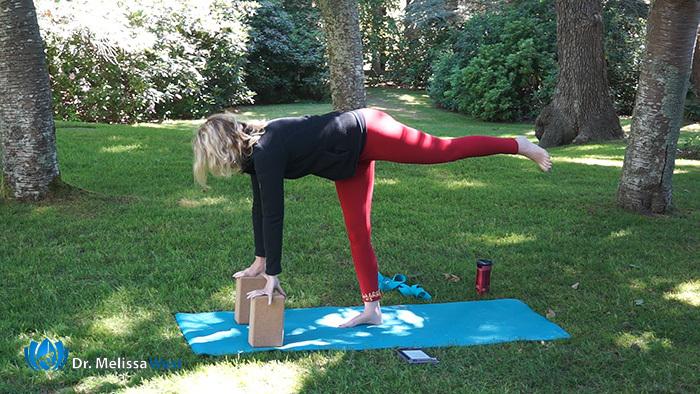 Your yoga blocks will also help you release and support parts of your body. They can allow you to take a more restful and renewing variation. 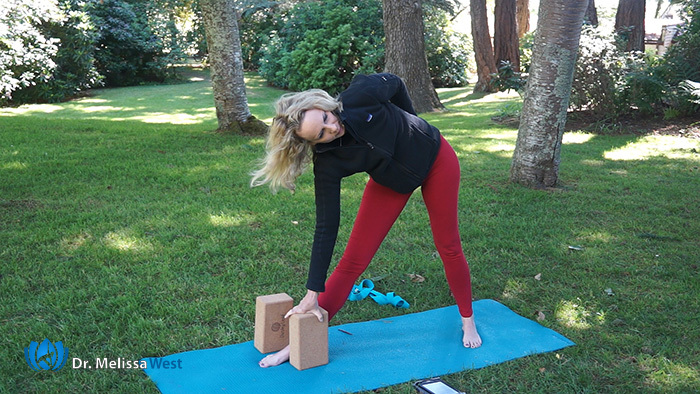 Because so many people have asked, I recommend the Dusky Leaf cork blocks because they are heavy, stable, durable and they won’t give away in your standing postures. Leave your comment below.What new thing did you learn to do with the block today? 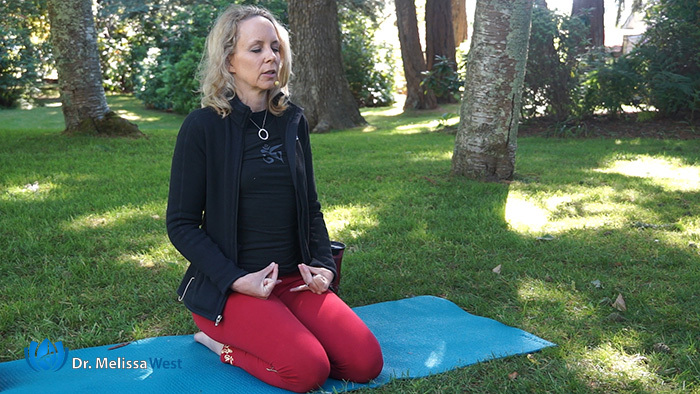 If you would like to continue to receive support for your practice, we have a whole new section on our membership site, called Postures and Pranayama dedicated to supported you in the newest and most innovative research in the field of flexibility. I have begun to show you a little bit here about how props can help you to relax in yoga poses. In our postures and pranayama section, I give you even more. The current research that shows that use of props in supported postures that allow your nervous system to relax and feel safe will give you far greater gains in flexibility than traditional stretching. That is the kind of material we are delivering with classes that will help your hamstrings, hips, shoulders, upper back, neck and low back become more flexible with the use of the most current props in the field.